Wedding Photography Workshop - The only course you'll ever need! Wedding Photography Workshops - In brief our aim is simple; we will teach you everything you need to know to help get you up and running as a Professional Wedding Photographer. We will teach you every aspect of shooting a wedding from start (Bride-Prep) to finish (First dance). This includes posing the Bride, Groom, Best Man, Bridesmaids, and Groups etc. We will teach you how to get the best out of everyone on the day but most importantly how to take pictures that sell! This course is very hands-on. The theory is kept to a minimum so you get to spend optimum time with your camera. If you want a pretty Certificate to hang on your wall, you're in the wrong place! If you think a City & Guilds Certificate hanging on your wall will help you to gain bookings, you're very, very mistaken! Can you take a good picture? If you say yes to both of the above then you're most of the way there. Potential clients will always look at your pictures long before contemplating making contact to ask about availability and prices. So far so good... It's now time to meet your clients. At this point, they will nearly always look at your work further, albums or prints etc. During this process, the potential clients will be getting a feeling about you. Are you a nice character with a warming personality? If you pass on both accounts then you're good to go! Never in my many years as a Professional Photographer have I been asked to prove my credentials. Never before have I been asked for certificates. Never before have I been asked If I have a degree! "This is my 10th year in the wedding business and I was interested to see how much I knew about wedding photography. Well, it turns out I only thought I knew a lot. Both Gary and Paula are 2 incredible photographers who think outside the bubble and showed me how to consistently take truly stunning wedding photos. You won't find these methods on youtube, it will be like turning on a light, that eureka moment when you know your photography will never be the same, it will be consistently amazingly better. Can I just say a really big thank you to both Gary and Paula for their professionalism, their humour, and their compassion? Thank you Johnny & Chloe as well as the others"
"Wow what an amazing experience, I communicated with Paula via the website and email and I almost immediately feel relaxed, Paula was able to recommend accommodation near to the studio's. So arrived on the Sunday night, In the morning I was a little nervous as I did not know what to expect. Within moments Gary and Paula made me feel welcome despite being an hour early. The course was relaxed but professional. Gary was such a great guy he made the learning interesting and exciting. If you want to take that step on to becoming a professional photographer then Look no further. This is a true 5 Star experience right here. Plenty of refreshments and an amazing venue. Hazlewood Castle and the model were brilliant and professional. "WOW!!! What a fantastic course. I have just completed the 5 day wedding course with Gary and Paula at Shoot Smart. The amount of information shared with us was amazing. This really is the only course you will need to improve your wedding photography skills. The course is worth every penny, you will not be disappointed. Gary’s easy manner, and the amusing way he delivers the course material is very inspiring. Paula’s input as the second shooter and assistant is also invaluable. Also Paula’s lunches are a real treat. What a fantastic team. Thank you both for a wonderful week"
"Attended the 5 day wedding and portrait course last week - amazing!! I've been using a DSLR for many years however, learnt some really cool stuff & much needed back to basics! Getting ready to book my next course"
"I've just finished the wedding/portrait course with Gary and Paula at Shootsmart, and have been delighted with the results. We were presented with a huge amount of information in a short time, but the way in which Gary delivers it makes it easy to understand and - more importantly - put into practice. Everyone on the course benefited from Gary and Paula's extensive knowledge, patience and tireless enthusiasm for photography. A great venue, relaxed atmosphere, warm hospitality, plus some professional-looking shots by the end of the week - perfect. Will definitely be back for more"
"I did both the Love Your SLR (15th March) and the 5 Day Wedding/Portrait Course (2nd - 5th March) and both were excellent. I bought my camera sometime last year and pretty much never used it as I didn't really know what I was doing. I'd read a couple of books in the past but nothing beats hand on experience and Gary give you that experience in droves. From photographing items such as shoes, flowers, wedding dresses etc, to people in poses in a mock wedding at Ripley Castle (North Yorkshire), to people in a studio, to off camera flash location shoots around Elland, to using and understanding light meters, The list goes on and on. I had a fantastic time at shootsmart and I would like to thank Gary and his wife Paula who kept us well fed and everything running to schedule, And Kelly who is their assistant/stand in model. I can't recommend them highly enough." "I have just completed the 5-day wedding & portrait course run by Gary Gough and his wife Paula. I have been looking for a course such as this since being made redundant last year and to kick start my new career in wedding & portrait photography. I came across ShootSmart Photography Training, and after reading all the reviews decided to book the full 5 days (3 days wedding plus 2 days portrait). From walking in the studio on Monday morning to leaving on Friday evening, I enjoyed every bit and more. I have been a serious amateur for a few years and needed to fill in any gaps that I had in my technical ability, this course ticked all the boxes for me. You can read all the books and watch all the video's, but nothing beats hands-on experience taught by a true professional photographer. Gary's method of teaching is relaxed, imparting years of experience in an easy to understand way. I now have a full understanding of studio flash ratio's and how to use my light meter the correct way. Gary's wife Paula kept things ticking along all week, and also kept the course members fed and watered.....A true family run course, which I would highly recommend for anyone looking to improve their photography skills. If your looking for a photography course, look no further than ShootSmart Photography, you will not be disappointed." 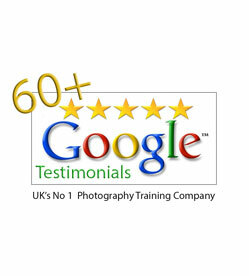 "I attended the 5-day wedding/portrait course in September and it was excellent. Gary is very good at getting his knowledge across, that along with his patience and sense of humour and linked with Paula's organisation skills and warmth, it made for a brilliant week which I thoroughly enjoyed. I have learnt so many new skills including flash, posing, ambient lighting, timing, business management etc and also how to smile a bit more! One tip I could give to anyone thinking about or attending one of ShootSmart's courses is to make as many notes as you can along the way as the knowledge I gained was immense. Many many thanks to Gary and Paula, I couldn't recommend these guys more!" "I attended the three day Wedding training course in October 2015. Firstly I would like to Thank both Gary & Paula. I have learnt so much from Gary in 3 days, his easy approach to teaching is second to none, he makes learning so enjoyable and very informative, it is fun and fast-paced, and not sat at a desk all the time, it is hands-on and a fantastic way to learn. Paula gave me an insight into having an assistant/second shooter at a wedding to capture the shots I would not be able to, great help. I can only say if you are thinking of taking up wedding photography, then training with Gary & Paula is a MUST. I guarantee it will be money well spent. Our Mock wedding was held at Hazelwood Castle, this was spectacular, learning how to pose the Bride & Groom and making sure you get the shot is just one of the things Gary Teaches, also the use of a light meter that I have never used before, I now have purchased one and I am converted in to using one. I cannot express just how good this was in a few short words, it was Excellent. Thank you both Very Much, Look forward to seeing you soon"
The following video is a 3-minute snapshot and insight into our "HANDS ON" Wedding Photography Training. This particular Day was at Hazlewood Castle. This day forms part of the 3/5 Day course. This 3-day course is aimed at the enthusiastic photographer looking to improve their skills or a change of career. If you want to earn a serious income from your own home or small inexpensive Studio, then here is a 100% guaranteed way for you to learn how in the quickest time possible. We focus on practical 'hands-on' shooting with a strong emphasis on camera handling, not sitting in a classroom learning theory. There's intuitive instruction on every aspect of photographing a complete wedding from the Pre-Wedding shoot and Bridal prep through to first dance. Everything you need to know about running studio sessions and how to take stunning portraits. We cover the business aspects in great detail too! ShootSmart Wedding photography course is intended to impart a high level of proficiency to the enthusiastic amateur and semi-professional photographer looking to start a career as a Professional Photographer or wishing to shoot weddings and Portraits for fun. Shooting a wedding is a huge responsibility. You are in charge of capturing a historic day in people’s lives. You need to be a proficient camera user, technically sound and be creative and able to handle the pressure of the day professionally. Wedding photography demands people skills, being able to work under pressure, to handle any scenario, any weather condition, be versatile, flexible, adaptable, personable, engaging and well organized. It’s about summing up a scenario quickly for the best backdrop, working the light and implementing the nuances of lens perspective, depth of field and exposure options. ShootSmart wedding photography course teaches you the skill-set to shoot at a professional level, to capture the flavour, the mood and the magic of the day. The course is a real hands-on, and we cover every aspect of a typical wedding day, from the pre-wedding shoot and Bride prep right through to the first dance. The group will be limited to a maximum of 10 for a highly personalised training experience using models and set props to re-create real-life wedding scenarios. Photographing people in all walks of life is hugely popular yet it is usually done poorly. We train you to recognise the quality and direction of the light, to implement creative composition, to understand poses, backdrops, lens perspective, but most of all what sells! 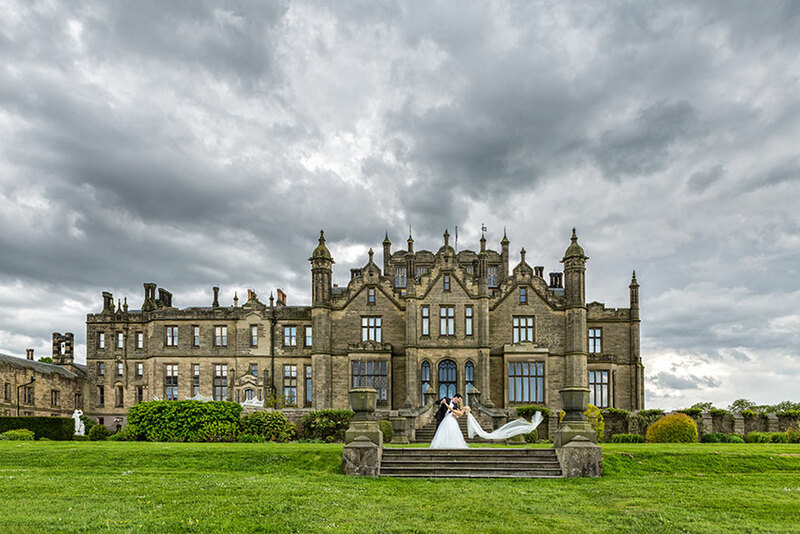 During the Wedding Photography Course, you will shoot a mock wedding with gorgeous models in real time at one of Yorkshire's prestigious wedding venues like Hazlewood Castle or Ripley Castle. You will learn to pose the Bride the Groom and of course both together. Not only do we show you how to pose the B & G but we will show you how to use "Power Poses" that really hit the mark! • Start to create a stunning portfolio that you can submit to a professional body e.g. the MPA (Master Photographers Association) in order to apply for your licentiate. This will allow you to use the prestigious letters "LMPA" after your name. • Photography presentation to include: Workflow – Presentation – Photoshop & Album choices. • Shoot in "Manual" and take full control. • Use your camera features to get the best results. Is it important? Should I bother? Does it matter? The answer to all of these questions is simply YES! Letters after your name will give the confidence to your customers that you know exactly what you're doing. It means that you have been recognised for your skills by other professionals. You will learn how to produce the work necessary for this. You can see a panel of work which has been produced for this purpose. More importantly, you don't need to attend boring University for 3 years to get them either! 1 Year FREE SUPPORT AND MENTORING! Starting your own business won’t always be a smooth process, especially in the current climate. This is why we offer 12 months free business support and mentoring. The success of start-up businesses is crucial – we want you to succeed. It’s as simple as that. Enhance the 3-day training by adding an element of Flash, Off Camera Flash and Video Lighting to help increase your personal skills and better your chance of getting bookings. This day perfectly compliments the 3 Day course! ""I recently completed the 5 day wedding course run by Gary and Paula, the experience from start to finish was superb, and very professionally run. The tution given was done in such a way that everyone in the group was relaxed and this enabled everyone to learn with ease. The course content was structured in a way that both experianced and beginners could learn together without any problems. The wedding venue of Hazelwood castle was the icing on the cake. I can recommend this course to anyone out there wanting to get into the photography business, as it not only covers the photography aspect but the business and processing sides. As a direct result of the course i have 4 wedding bookings already over the next 6 months. THANKS Gary, Paula and the rest of team""
"Just completed the 5 day course and loved every minute of it, this couple ooze inspiration, so being a complete beginner on the technical side of photography I came away with a wealth of knowledge and buzzing with inspiration, Gary and Paula couldn't have crammed anymore information into five days and couldn't have been more helpful and accommodating, I am now hoping to book the five day landscape course, I honestly can't believe how far I have come and delighted I stumbled across this training course to explore my passion for photography"
"Just returned from 5 Day Wedding and Portrait Workshop, run by Gary and Paula Gough, at Shootsmart. The atmosphere was relaxed, and the information was presented in a light hearted manner, with plenty of jokes and stories from Gary and Paula, which helped get the information across.One day was a mock wedding, held at the lovely Hazelwood Castle, with two lovely models, and plenty of posing and setup advice, and I've come away with some fantastic pictures, which if they hadn't come off my card I would never have believed they were mine.Other days were spent in the studio, outside with off camera flash and some amazing Photoshop sessions.I've come away with a lot more knowledge, and look forward to attending other courses. Definitely recommend the courses if you want to do more than point and shoot with your camera"
"5 Day wedding & studio course WHAT YOU WAITING FOR ??? BOOK THE COURSE NOW Seriously what are you waiting for? I wish i booked the course last year. Since I've got back from the course I’ve done nothing but plan for the launch of my own photography business. One day i might be able to make the switch to full time pro.Gary and his team are great, very welcoming, great lunches provided and plenty of drinks available. The Studio is excellent. I could go on, The photoshop actions sessions were amazing.if you are thinking about turning a hobby into a business give this course ago"
I did both the Love Your SLR (15th March) and the 5 Day Wedding/Portrait Course (2nd - 5th March) and both were excellent. I bought my camera sometime last year and pretty much never used it as I didn't really know what I was doing. I'd read a couple of books in the past but nothing beats hand on experience and Gary give you that experience in droves.From photographing items such as shoes, flowers, wedding dresses etc, to people in poses in a mock wedding at Ripley Castle (North Yorkshire), to people in a studio, to off camera flash location shoots around Elland, to using and understanding light meters, The list goes on and on.I had a fantastic time at shootsmart and I would like to thank Gary and his wife Paula who kept us well fed and everything running to schedule, And Kelly who is their assistant/stand in model.I can't recommend them highly enough.